Welcome friends, to Breast Cancer Awareness Month, when pink ribbons cover everything from toxic cosmetics to BPA-lined food cans, urging us to be aware of breast cancer. When 1 in 8 women will be diagnosed with the disease, how much more awareness do we need? The Breast Cancer Fund is working to shift the conversation from awareness to prevention. The Breast Cancer Fund only partners with companies who support our mission to reduce exposure to chemicals linked to breast cancer, and encourage a healthy lifestyle. We’d like to give a BIG shout out to our partners in prevention for supporting our work, providing safe products for consumers, leading the industry in transparency, and promoting an active lifestyle. We can’t do this work without our beloved partners. Show them some love! LUNA Bar and the Breast Cancer Fund both hold the fundamental belief that what you put in and on your body matters. LUNA supports the Breast Cancer Fund’s work year round, including through their Team LUNA Chix and LUNAFEST programs. Founded by two sisters, a breast cancer surgeon and a dentist, Dr. Brite provides safe dental health products free of harmful chemicals. 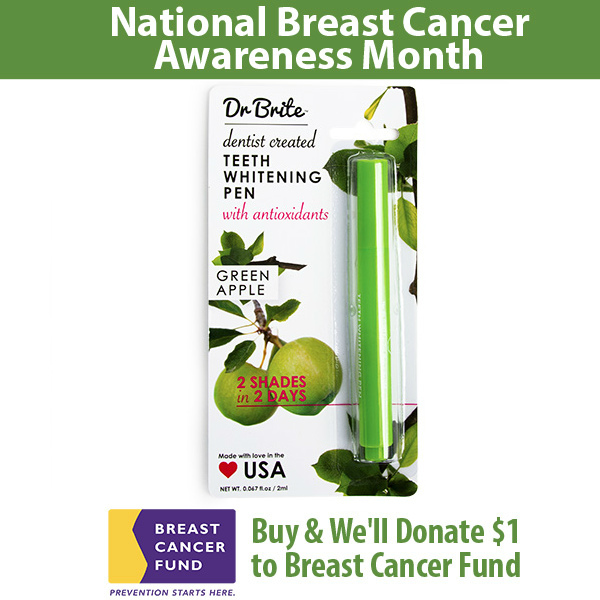 Dr. Brite will donate $1 from for every teeth whitening pen sold in October and, with ingredients like organic coconut oil and organic green apple extract, what’s not to love!? Bust out those running shoes, it’s time to get active! 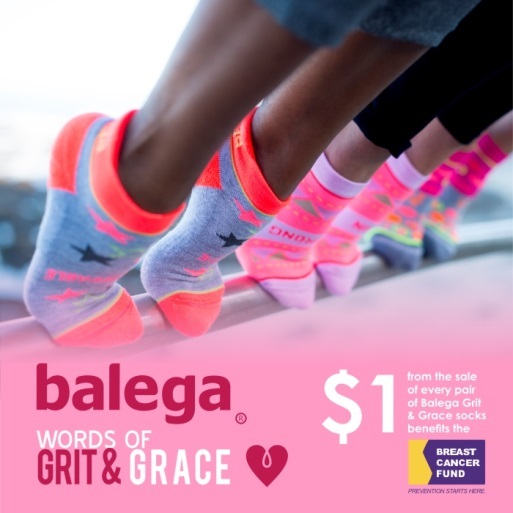 Balega socks are beloved by runners everywhere for their high quality and corporate philanthropy. They have been long time supporters of our work, donating $1 from every pair of socks sold from their Grit & Grace collection. Find them at your local running store or purchase online here. You’ll love the inspiring message stitched on the toes! Beautycounter’s mission is to get safer products into the hands of everyone. They have made consumer education and transparency a part of their business model. Beautycounter supports the Breast Cancer Fund year-round and educates the public about the need for better regulation of the personal care product industry. Check out their October campaign to help elevate the need for breast cancer prevention and learn about their amazing products. 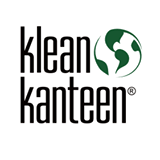 Our longtime partners in prevention at Klean Kanteen provide BPA free stainless steel products that not only protect our health, but help our planet by eliminating the need for single use plastics. Klean Kanteen has been family owned and operated, since 2004. Our current staff favorite is their insulated tumbler. We recently took a tour of The Futon Shop’s manufacturing facility in San Francisco and it was immediately apparent that their priority is to provide safe non-toxic furniture, and they go to great lengths do so. They have been making chemical and flame retardant free furniture since 1979 when founder Suzanne Diamond was inspired to create safe mattresses for herself and her children. Check out their inspiring story here. The Futon shop donates 1% of all chemical free mattress sales to the Breast Cancer Fund. Antigravity Fitness specializes in hybrid aerial fitness combining silk hammocks with yoga, Pilates, Barre and strength training. 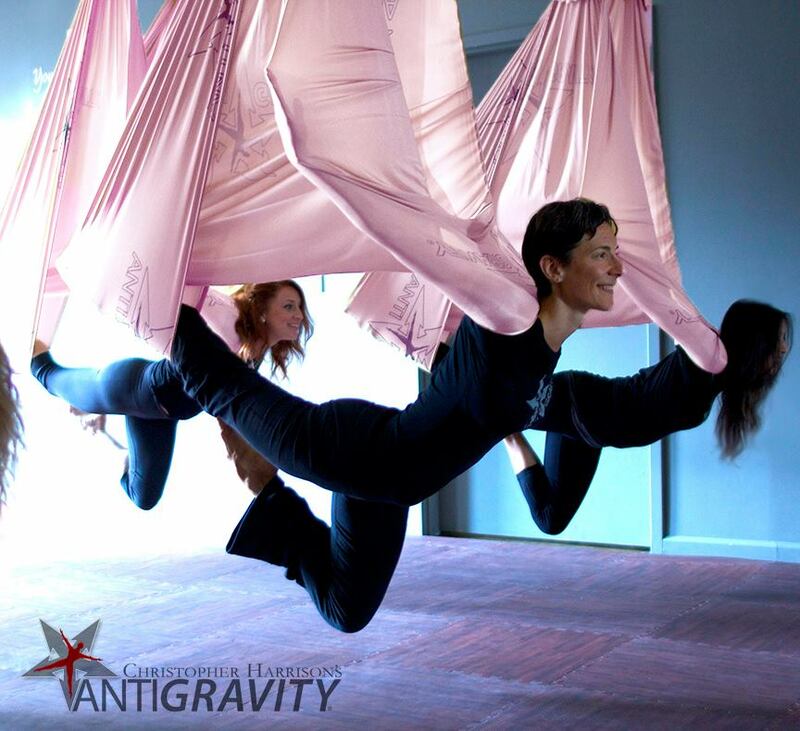 If that’s not intriguing enough, Antigravity Fitness will donate all proceeds from the sale of their Special Edition Pink Harrison AntiGravity Hammock to the Breast Cancer Fund. They will also donate all registration fees from their All Fundamentals classes held at the Christopher Harrison Antigravity Lab in NYC! Woot! Juice Beauty has been a partner in prevention since day one. Founder, Karen Behnke, is passionate about creating beautiful, safe products that use an organic juice base rather than petroleum derivatives or water. Gwyneth Paltrow was such a fan of the brand that she joined as creative director last year helping to develop their new line of makeup. 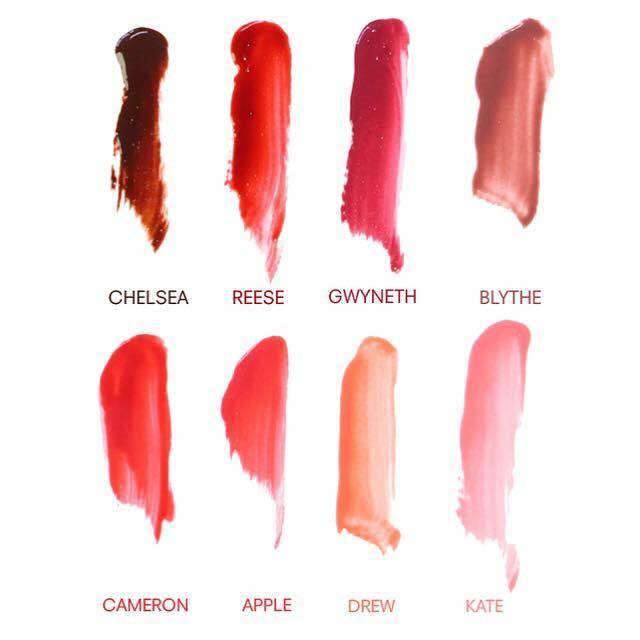 $1 from the sale of every Phyto-Pigments Liquid Lip sold in October will benefit the Breast Cancer Fund. Each color was named after one of GP’s friends or family. Seventh Generation supports our work year round and takes corporate responsibility to the next level by advocating for laws that would require ingredient disclosure for cleaning products through their #ComeClean Campaign. We are proud to say that they already do so voluntarily. Read more about Seventh Generation’s mission to protect the health of people and planet for the next 7 generations. 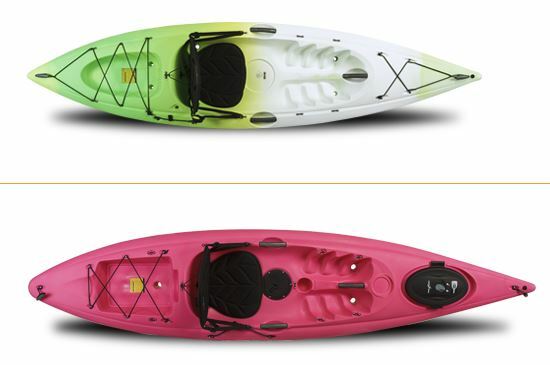 Ocean Kayak has donated 1% of gross sales from their women’s specific kayaks to the Breast Cancer Fund since 2002. Check out their Venus 10 and Venus 11 for your next outdoor adventure! We are thrilled to partner with Tata Harper, a company known for their farm-to-face approach to skincare, on the aptly-named Kiss Me, I’m Non-Toxic campaign. $30 from the sale of each t-shirt, made in partnership with luxury brand Maiyet, will support our prevention efforts. Buy here and flaunt your non-toxic ways. What’s Hiding in Kids’ Face Paints and Makeup? I always recommend my clients try cosmetics with lower amounts of toxic chemicals. thanks for this list of reputable companies!